Do you also feel guilty when you spend too much money on your makeup? Well, this set is THE ultimate solution for you! 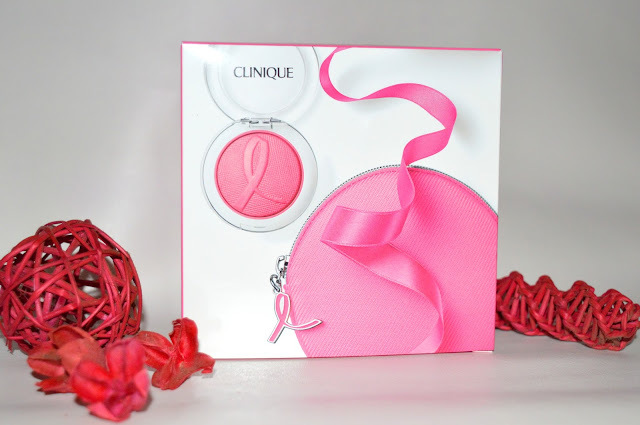 Clinique released a limited edition blush 'Pink with a Purpose'. 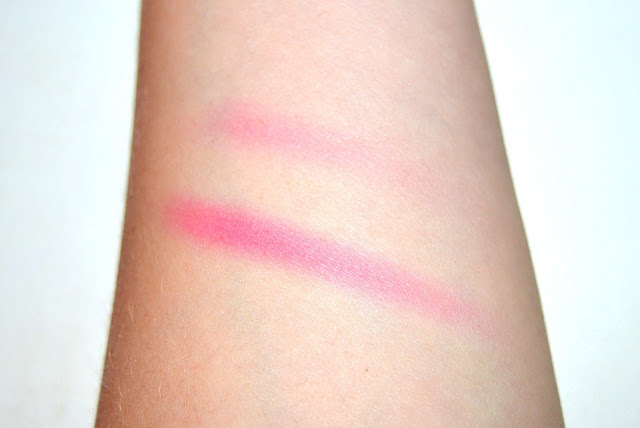 This blush has the same color as the famous cheek pop in the color 'Berry Pop'. 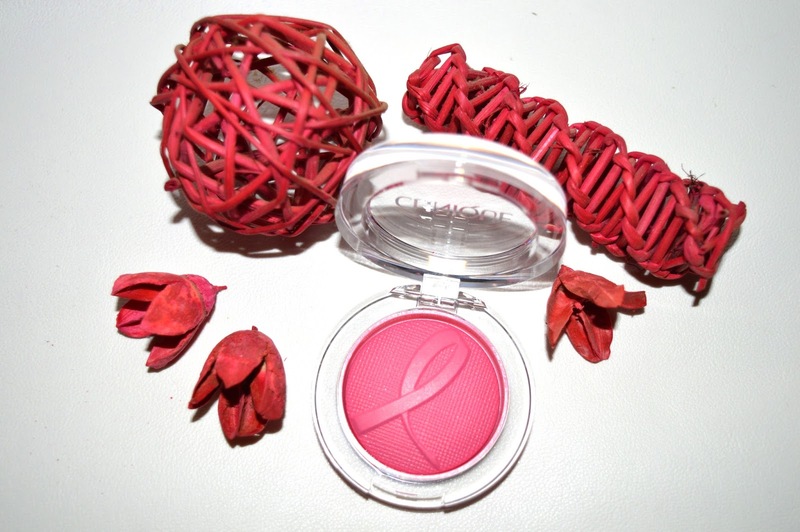 In this blush you can see the little pink ribbon, the famous logo for the breast cancer foundation! This blush comes with a little makeup purse, which is decorated with a little pink ribbon in metal. In this swatch you can see two shades of pink. The upper one is a light stroke of the blush. To make the color more visible on the picture, I also made a darker shaded with three layers of blush. It is a very pinky blush, but not too pink when you apply it gently. I like to use it for my evening looks. 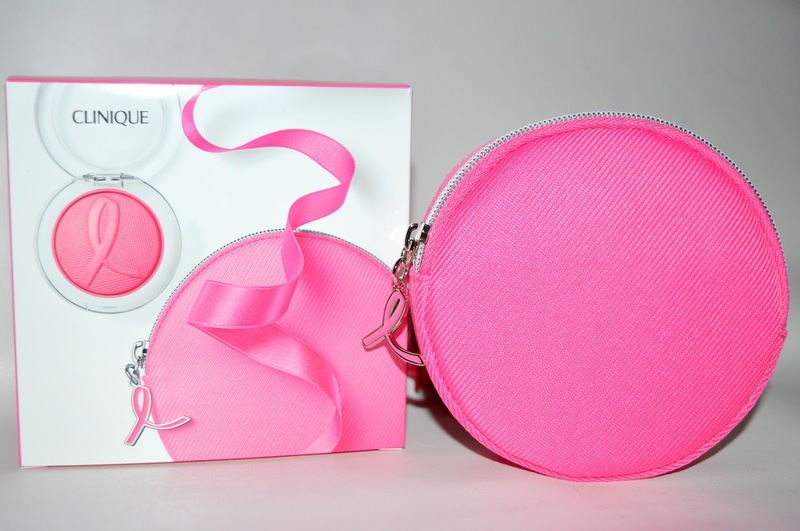 This blush is for sale in the Clinique webshop for 26,60€. 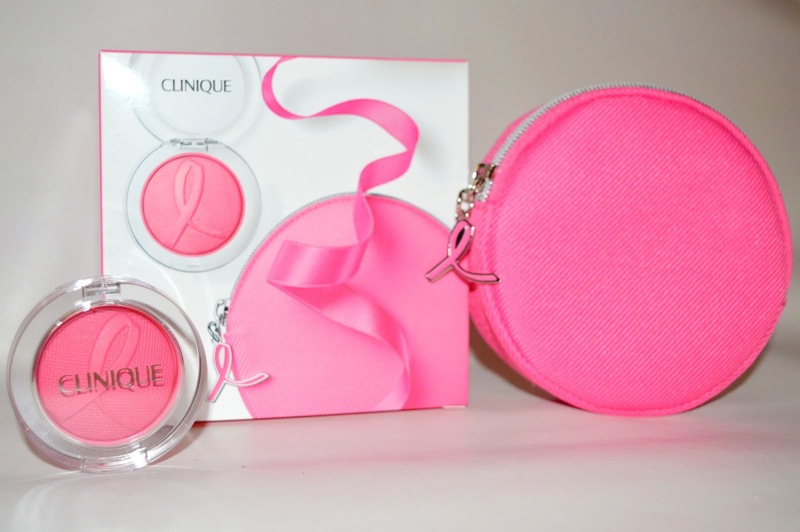 For every sold blush, Clinique donates 3,65€ to BCRF (Breast Cancer Research Foundation). What do you think about limited edition collections to support good causes? Let's create some more art together!